A minimally invasive discectomy is an outpatient surgical procedure to remove herniated disk material. The procedure may be performed in the operating room or special procedures room. Patients are administered a local anesthesia, consisting of an injection of anesthetic in the muscle (not a spinal block) and also IV sedation. Then, with the help of X-ray fluoroscopy for guidance, a small specially designed probe is inserted through the skin of the back, between the vertebrae and into the herniated disk space. Work is done to remove a portion of the offending disk. The bulging disk can be pushed back into place and also disk fragments. On average, the procedure takes about 15 to 30 minutes. X-ray exposure is not significant. Normally little if any pain or discomfort is felt. Upon completion, there are no stitches. The supporting structure of the disk is not affected by the procedure. 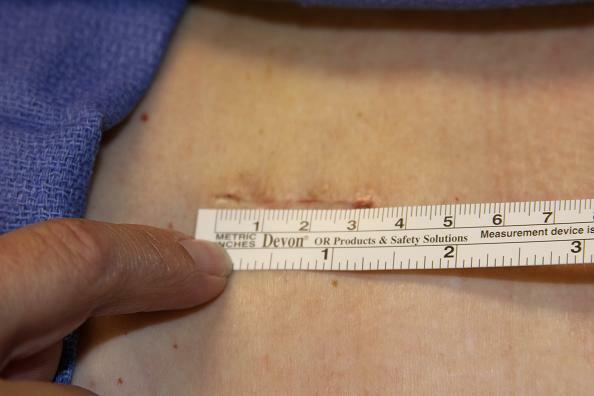 In comparison to the large incisions required for open surgery, the access route to the disk in this non-traumatic procedure consists of only the probe’s puncture site, heals with no trace. A minimally invasive discectomy is different from an open lumbar disk surgery because there is no traumatic back muscle dissection or cutting, no bone removal, and no significant skin incision. The risk of complications from scarring and blood loss is essentially eliminated with this procedure. 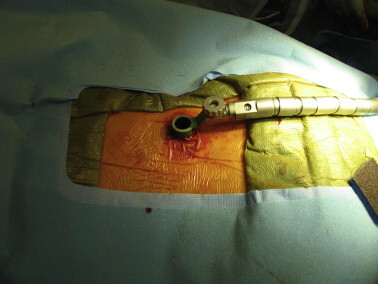 Minimally invasive discectomy was invented to be an effective treatment for herniated disks while avoiding these risks.